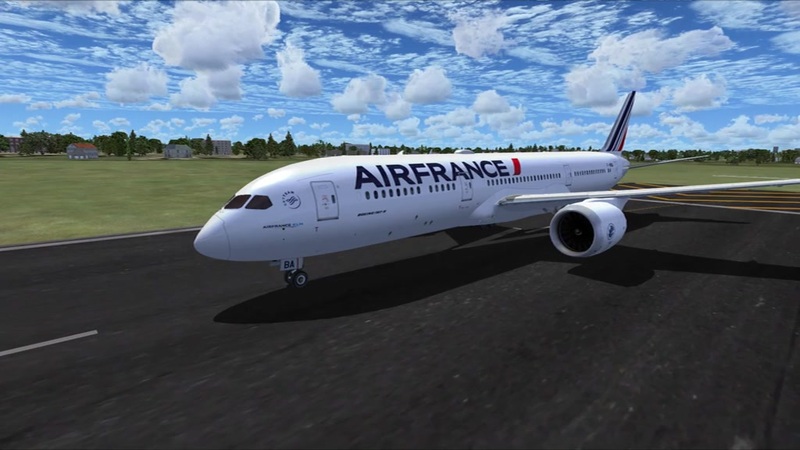 Tenkuu Developers Studio - Boeing 787-9 Dreamliner Air France Boeing 787-9 "F-HRBA"
TDS is pleased to release our Boeing 787-9 release for Microsoft Flight Simulator 2004 and Flight Simulator X. First of all, we all want to say thank you for a long time waiting for this project. Many people knows there are SkySpirit series models which has a roots at Project Opensky. TDS is a small group made by former Posky members and building a new models. TDS stands for Tenkuu Developers Studio. The word, "Tenkuu" is Japanese, and it means, "Heaven's sky." The archive tds_boeing_787-9_airfrance_fhrba.zip has 184 files and directories contained within it. What does the cockpit look like? 3D? are all the buttons clickable? does the FMC work? Is 3D cockpit mode available for this? how do you install it? I can't seem to find a way to install it? Awesome aircraft, great details and great flying characteristics. Thank you !